El Poeta Callejero gets personal with Kesta about his new album "Tigre Decente". El Poeta Callejero is a Latin Urban music artist who has over 3 million followers on social media. His album "Tigre Decente" (Machete/Universal Music) is scheduled for release at the end of September 2016. Kesta: First of all, many thanks for taking time to do this interview with me on behalf of Kesta Happening. For starters, please explain the title of your new album “Tigre Decente” and what you want fans and the public to know about the album. 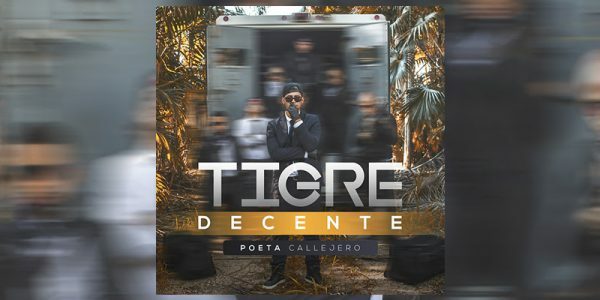 El Poeta Callejero: “Tigre Decente” is because tigers are in the jungle and here, the Dominican Republic, is like a jungle and you have to be a “tiger” in the sense that you have to know how to survive and adjust. And “decente” [respectable, honorable, acceptable] because you have to do it in a way that is legal, that doesn’t get in anyone’s way, that it’s not done the wrong way or outside of the law. You have to know how to play clean in this jungle to be able to get ahead. That’s why it’s called “Tigre Decente”. Kesta: What are three words that describe the album and what was your inspiration? Poeta: Ok, three words… “Creative” is the first, “positive” is the second and “love”, “hope”, “trust” … there are many. Kesta: And what was your inspiration? Poeta: The inpiration for this album was my daughter, who is crying in the background, she’s a newborn. I dedicated a song to her titled “Mi Bendición” [“My Blessing”], and also to inspire personal growth in the listener and personal growth in myself. Kesta: Where did the idea for the “Tigre Decente” miniseries of music videos come from? Poeta: Excellent question. The miniseries actually came from the record label and they had the idea to do a miniseries surrounding the topics because they saw a lot of potential to do so from the lyrics, the poems. Kesta: Let’s talk a bit about the song “Voy A Mi” the first song in the miniseries and why did you start with this song as the first? Poeta: "Voy A Mi” is a song that I identify with a lot because I had been preparing an album for a while and a lot of people had been waiting on it so “Voy A Mi” was a reflection of that and providing assurance to myself and my fans that despite the wait I wanted to be sure that I was making an album of the best quality possible. Kesta: Please talk about the song “El Discurso” ["The Speech", "The Address"]. It begins with a message for the President of your country, the Dominican Republic, and I see it as a song with a message for society in general. It has a very interesting message. Poeta: I was inspired by me, I was inspired by you, I was inspired by society, for the betterment of all and I feel that this song emerged from the consciousness of the society to make this society better and to improve ourselves and it is also one of my favorites. Kesta: Aside from being a music artist, do you have any other aspirations in the entertainment world, for example becoming an actor or producer, as a result of doing so many videos for the miniseries? Poeta: (Laughs.) I would love to be an actor in movies. It would be a dream come true! Kesta: What are the two songs that you like the most from the album and why? Can you give some background on those two songs, how the ideas came about and with whom did you collaborate on them? Poeta: The songs that I like the most, they were just mentioned “El Discurso” is one of them and “Mi Bendición” that I wrote for my daughter. The story behind “Mi Bendición" is that I wrote it inspired by touching my wife’s belly when she was pregnant and the lyrics emerged in my mind and that’s how I wrote it. “El Discurso” is the other song, and I had spent hours gazing at the moon and the lyrics came into my mind. I had asked the universe to help me to compose a song and there it was. Thank you for asking. Kesta: Where does the name “Poeta Callejero” come from? Did you pick the name or did others start calling the name? Poeta: I believe that it comes from a combination of both because people started to call me “El Poeta” and they came to know me as “El Poeta”. I also called myself “El Poeta”, it was mostly a name that people gave me. Kesta: Who are the artists that you listened to at home when you were younger who have an influence on your music today? Poeta: (Laughs.) I listened to the Backstreet Boys so I learned through their vocals and that inspired me and I listened to a lot of merengue, a lot of salsa, a lot of bachata because the Dominican Republic is a tropical country and the rhythm for “El Discurso” comes from there and those are influences from growing up. In terms of lyrics, I listened to artists like Calle 13, Vico C, Heavy D. They made an impression on me forever. The music is a mixture, like a soup that includes a bit of everything. Kesta: I was present in New York for the album release event for "The Chosen Few Urbano RD" [Dominican Republic] by the producer Boy Wonder and I would like to know how you came to meet Boy Wonder? 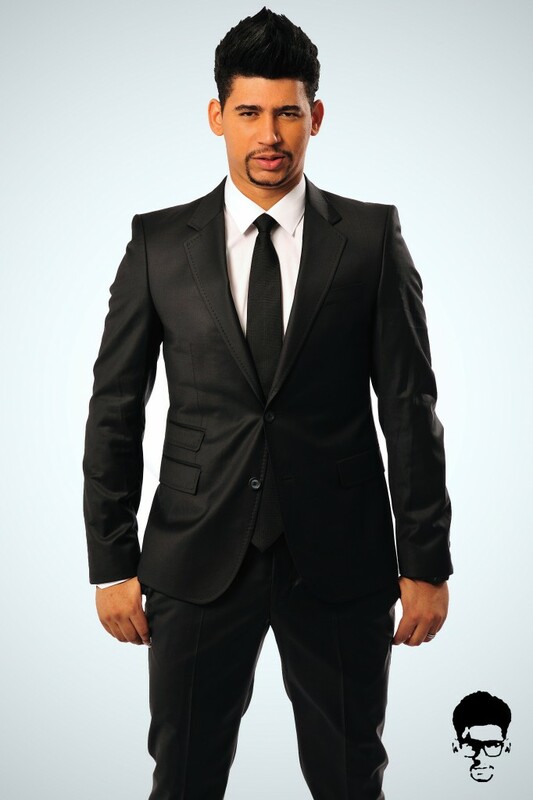 Poeta: I have known of him in the industry for a while, with his album "The Chosen Few" and from there I began to admire him and follow his work then I had the opportunity to meet him and be a part of his album ["The Chosen Few RD"]. Kesta: Who would like to work with whom you have not already collaborated with yet? Poeta: J Balvin, Enrique Iglesias, Romeo Santos – who wouldn’t?! Also, other talented music artists, those who have a distinct voice, a melody. Also, producers, publicists, journalists, artists – people who love what they do and enjoy themselves. Kesta: Your music has a lot of energy and it appears to come from the heart with many powerful messages. How are you in daily life? Are you relaxed and chill or do you have a lot of energy? Poeta: (Laughs.) I laugh because when I was younger at first I did things fast and quickly, but as I grew I learned from my failures and victories, advancements and all and now because of that I am a bit more peaceful, more relaxed, always thankful, always happy, always content, appreciative for everything. I have learned over time and matured, you know, so I have gone from being fast and furious to being a person who is happy and calm. Kesta: Of all of your songs, which is your favorite? Poeta: I think that up until now “El Discurso”. "El Discurso" is a song that I like a lot. Kesta: Do you have any special message for fans or others who aspire to become music artists? Poeta: Yes, that they [continue to] grow, that they believe in their dreams, that no matter what the circumstances, let that be your motivation, the motor, the impulse, the drive, despite everything that you know that you have to focus on your dream, that you are going to achieve it. The way I do it is that I don’t just look at the present and the situation that surrounds me but rather imagine, envision, that the thing that you want, think that you already have it – that’s the way to do it. Kesta: That’s good advice. We spoke about the song “Mi Bendición” but is there anything else that you can share about it? How did you feel when you found out that you were going to be a father? Poeta: Really great! Right now I’m at home to taking care of her. I felt really good. Kesta: Just a couple more questions and I’ll let you get back to taking care of your daughter. Do you have a favorite designer? Where does your personal style come from? Poeta: I would say that as it relates to style I have learned over the years, experimenting since I was younger. I think that learning to dress well is an art, like music, using combinations that work well together and to one’s own taste, not like others. Not that I really know so much about it [style]. Kesta: At the end of your life what do you want for people to remember about El Poeta Callejero? Poeta: Wow… (Ponders.) For my music, for the message, and that I helped [to inspire] hundreds of people through my music. Kesta: The last question, who is your hero or who is the person whom you most admired when you were younger? Poeta: My hero for my whole life, my whole life, my whole life, my WHOLE ENTIRE life – has been Jesus Christ. I have greatly admired Jesus Christ and other leaders as well – Mahatma Gandhi... All of the leaders who have helped their people have motivated me for their bravery, their courage, their vision and also geniuses like Albert Einstein who have changed the course of humanity.